A strong belief that personal success and achievement is a fluke. A strong belief that accomplishments (status, income, authority) are not deserved. A strong sense that, at any time, the person will be unmasked and exposed as a fraud. Behavior that locks the person into a cycle of tasks to prevent additional responsibilities. An inability to internalize accomplishments. Displays of intelligence or abilities are suppressed in preference to using charm in order to gain approval. We now know the syndrome affects both men and women across different professions. Like self-doubt and personal insecurities, it crosses all class, race and intellectual boundaries. However, there is some evidence that where career aspirations move past the expectations of family and culture, the syndrome is more common (2). Other famous names that have exhibited an association with this syndrome include: Agatha Christie, Meryl Streep, Emma Watson, Kate Winslet, Mike Myers, Tilda Swinton, Tina Fey, Chris Martin, Don Cheadle, Denzel Washington. How common is imposter syndrome? I suspect most of us have experienced some level of doubt about our own capabilities. I’ve certainly encountered students who felt their entry to university, their passing of examinations and even their final graduation was due more to luck than personal application. But in people with anxiety disorders or who suffer depression the phenomenon is very marked. The Caltech Counseling Center states that Imposter Syndrome is also very common in gifted women, and it even offers some tips for dealing with it. It’s useful to differentiate imposter syndrome from low self-esteem, because there is a discrepancy between the actual achievement and the person's feelings about the achievement that may not be present in low self-esteem. As to the numbers who experience extreme forms of imposter syndrome, we simply don’t know. The fact that it is not considered a clinical condition perhaps helps to explain the lack of statistics in this regard. Dr. Clance has since developed her own Clance Impostor Phenomenon Scale. It’s a free 20 item test which identifies whether you experience few, moderate or intense symptoms. The higher the score, the more likely it is your experiences reflect impostor syndrome and interfere with your life. If you do score highly, you might consider seeking counseling or psychological therapy. 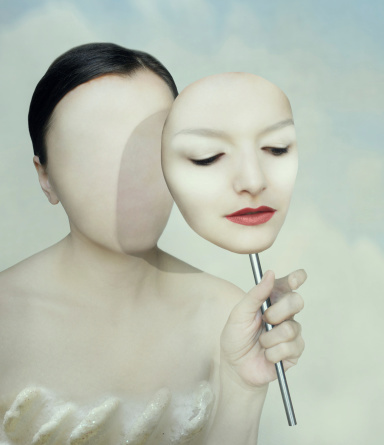 As an added resource, the American Psychological Society offers a few self-help tips for those who experience Imposter Syndrome. (1) Clance, P.R. ; Imes, S.A. (1978). "The imposter phenomenon in high achieving women: dynamics and therapeutic intervention. ".Psychotherapy: Theory, Research and Practice 15 (3): 241–247. (2) Vera, Elizabeth M.; Vasquez, Veronica; Corona, Rebecca (2006). "Women of Color". In Yo Jackson. Encyclopaedia of Multicultural Psychology. SAGE knowledge. Thousand Oaks, CA: SAGE Publications, Inc. pp. 475–80. Web. 1 October 2012.